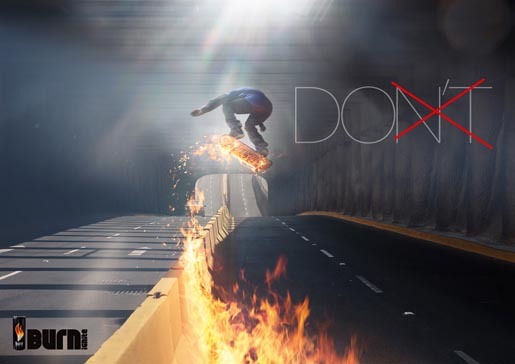 Coca Cola continues their advertising campaign for energy drink Burn with a print series shot in Mexico City by photographer Ben Stockley. The shots feature flaming trails acting as a metaphor for the fierce creative expression of skaters and boarders. See out-takes from the campaign at Ben’s blog. 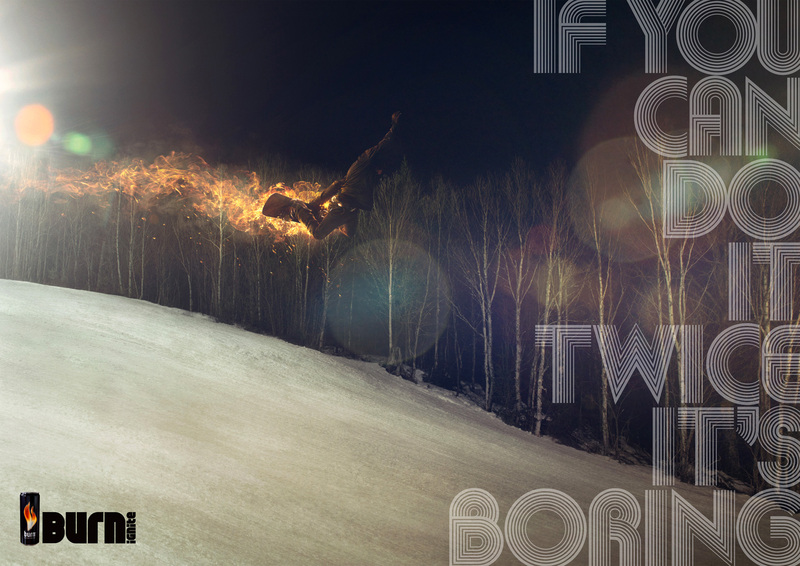 “If you can do it twice it’s boring”. The Burn campaign was developed at Publicis Mojo, Sydney, by creative director Micah Walker, art director Andrew Ostrom, copywriter Ian Williamson, producer Alison Dunlop, account manager Simon Ludowyke. Photography by Ben Stockley was retouched at Electric Art.